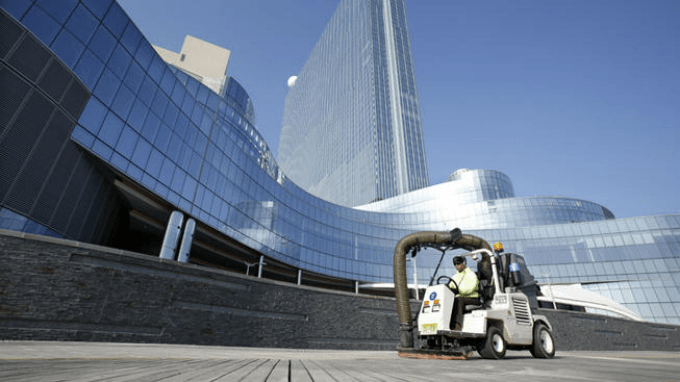 The Ocean Resort Casino hotel, formerly known as the Revel Casino Hotel Atlantic City, has been closed since September 2, 2014. The property was sold to Bruce Deifik and renamed in January and thanks to some tireless down-to-the-wire effort, it’s slated to reopen next week on June 28. If the date sounds familiar, it’s the same day that the Hard Rock AC is scheduled to open, pitting the two in direct competition with one another right from the get-go. Recent news is encouraging, then, for Ocean Resort as it was awarded a key piece to its hopeful success. With a week remaining until the grand reopening, the hotel received its casino license from the New Jersey Casino Control Commission. It also plans to offer sports betting after a recent partnership with William Hill and the state’s own official legalization of the practice in the past weeks. The 3-0 vote from the Casino Control Commission came as a big relief to Deifik and Chairman James T. Plousis reiterated the trust he has in the decision and the man. Earlier in the hearing, Deifik elaborated on all the pitfall’s he’d overcome to finally reach the impending reopening. He purchased the property for $200 million, invested $35 million in renovating it, and put up $70 million of his own equity. On top of that Deifik said he’s spent the last 13 months living out of the Tropicana Casino and Resort for $40 per night and walking the Boardwalk at 3 a.m. to endear and familiarize himself with his new home. The owner will still have his work cut out for him and the competition with a brand like Hard Rock will certainly keep him on his toes. There were plenty of aspects that drew patrons away from the old property which led to its closure. “We will surprise the world as to what we are going to offer and how we will treat our customers,”Deifik said at a public hearing held Wednesday afternoon. The opening ceremony will be a can’t-miss affair with an exciting lineup of entertainment to match Hard Rock’s own guitar-smashing celebration. Comedian Jamie Foxx will be performing along with a host of big-name electronic dance music producers including Diplo, Kaskade, Jermaine Dupri and Sunnery James and Ryan Marciano. The massive 130,000-foot casino floor will offer 2,000 slot machines, 100 table games and eight poker tables, and the hotel will offer 1,399 rooms. The 7,500-foot William Hill-operated sportsbook won’t be available on opening day, but sports bets will be taken at a temporary sports book. Simply offering sports betting should put the resort at a distinct advantage over its crosstown competitor. Hard Rock AC is still allegedly wrapped up in discussing how the details of a stadium naming rights agreement with the NFL will affect its ability to provide sports betting. Deifik said that he expects customers to have a much improved experience over the old property as he’s made some key adjustments in how the casino will be run this time around. For one, smoking will be allowed, which will no-doubt turn off some guests but be a welcome relief for others. Also a buffet will be installed and the casino floor itself has be remodeled to be more customer friendly. Additionally, one of the renovative efforts involved “taking the prison wall down” as Deifik eloquently put it, referring to a wall around the perimeter of the hotel that ran parallel with the Boardwalk.